Welcome to our first edition of Eye Candy Fridays! Where The Bamboo Stiletto features real beach houses owned by real people (as opposed to those production sets that appear in the movies/TV), so that we all have something to fantasize about over the weekend! Our Eye Candy Friday debut takes us to the mythical Island of the Gods – Bali, Indonesia – where a young Australian–Filipino couple, let’s call them “Tuan” and “Ibu”, has succeeded in living an idyllic island lifestyle that most of us can only dream about. Previous residents of Indonesia’s capital of Jakarta and of Thailand’s holiday island of Phuket, Tuan and Ibu fell hard for the charms of Bali and eventually decided to move there. Most recently, the entrepreneurial Ibu, with her keen eye for style and design, launched her own line of handcrafted artisan leather bags. Bag aficionados out there (yes, you know who you are!) check out her quality products here – http://www.kingsburybags.com – and note that the bags can be delivered to your home, in any corner of the globe! 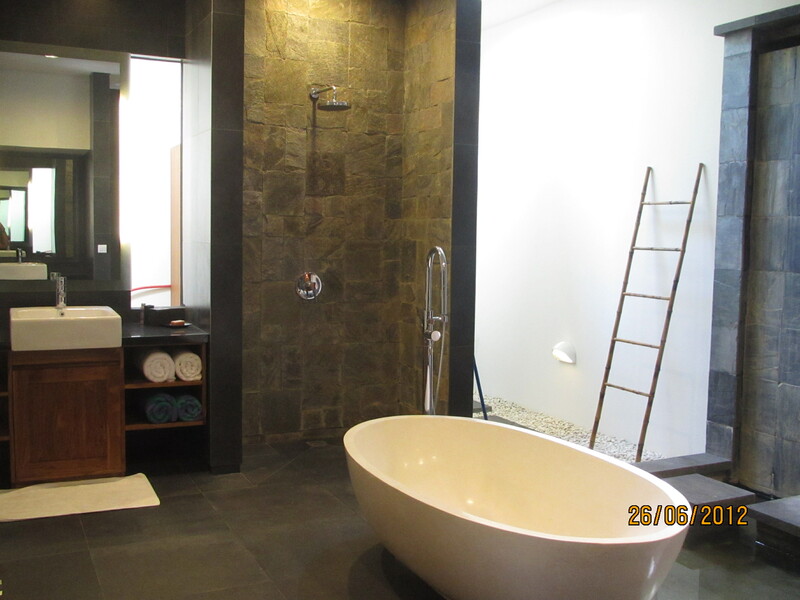 Feast your eyes on the couple’s swoon-worthy villa, a genuine labour of love as the couple was very hands-on and involved in every step of construction and home decorating. 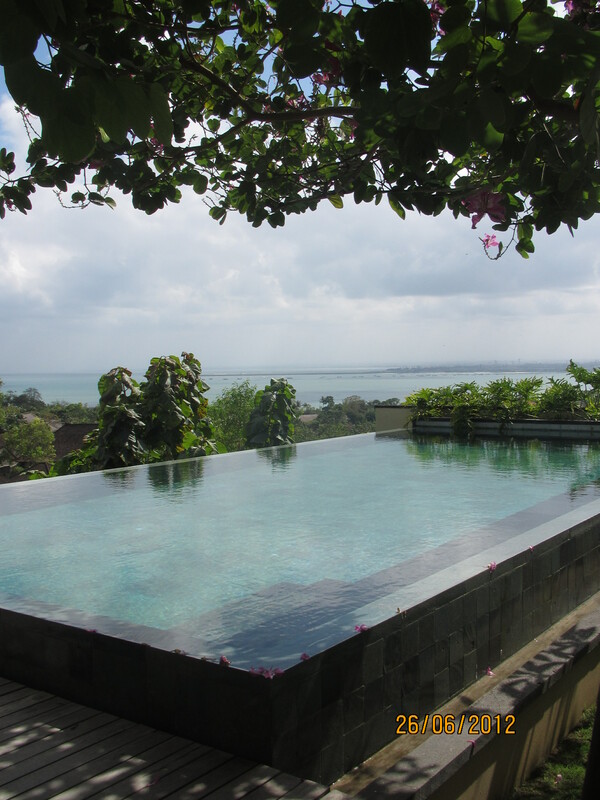 The result is a modern Balinese interpretation utilizing lots of natural granite, sandstone and teak, perched on the cliffs of Jimbaran with majestic sea views. 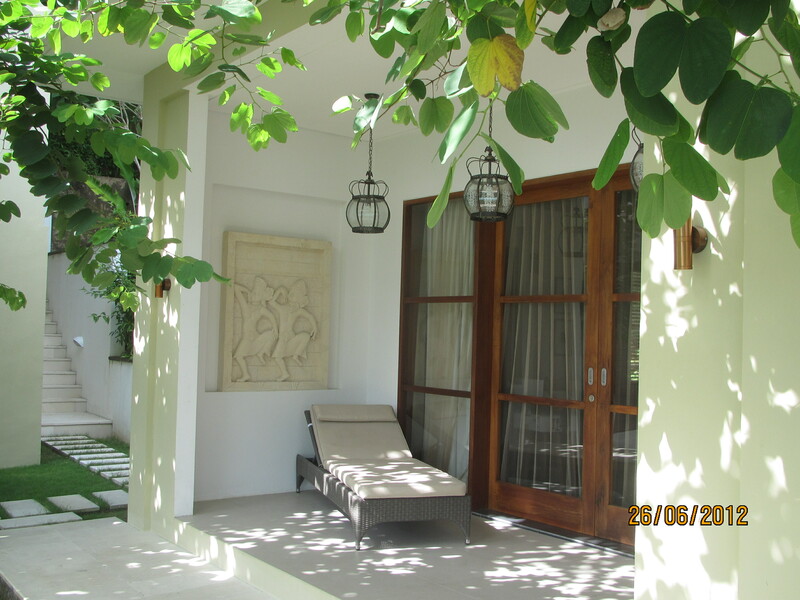 probably my favourite feature in the villa…this cozy little patio alcove features a beautiful hand-carved sandstone depiction of Balinese dancers, based on an actual photograph owned by the couple. 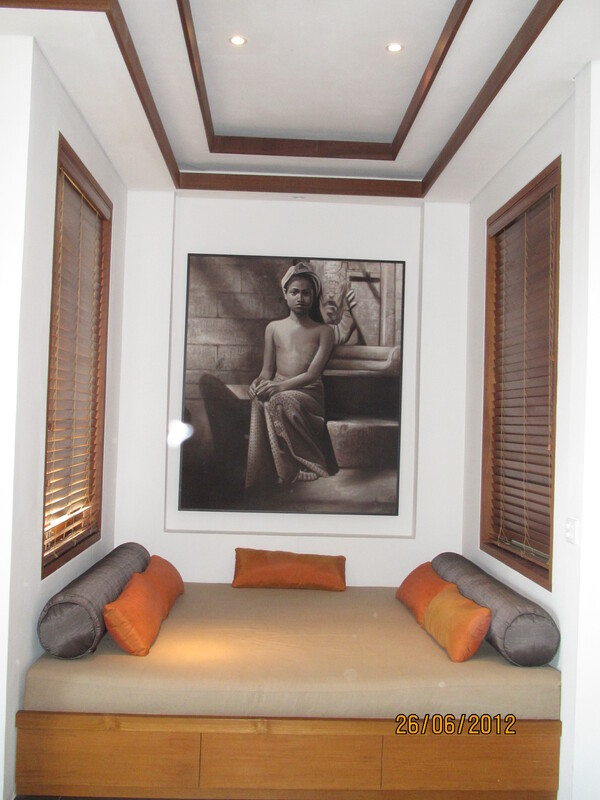 the ceiling lamps are Javanese antique reproductions, sourced from Jakarta. I can totally imagine myself curling up on that rattan lounger with my favourite beach read! 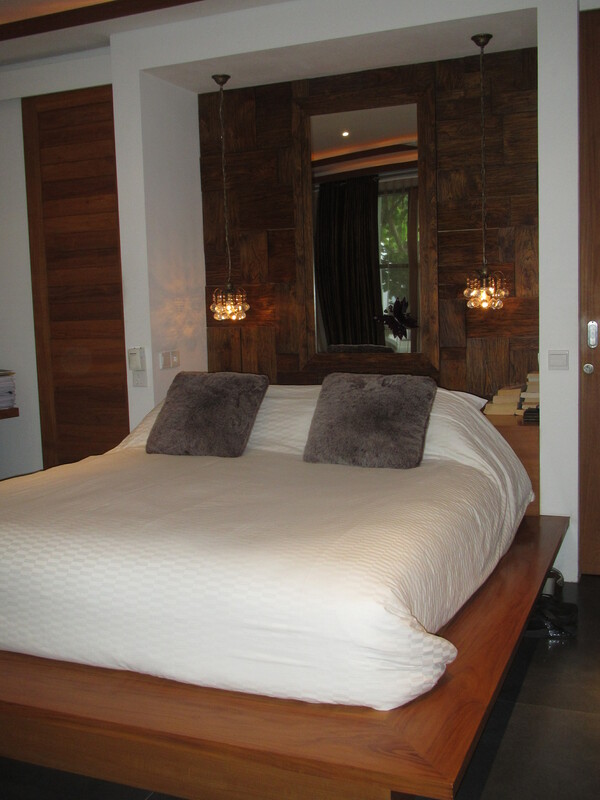 all clean lines…the woodwork in this soothing guest bedroom contrasts beautifully with the granite floors. can I be a permanent houseguest? just kidding! 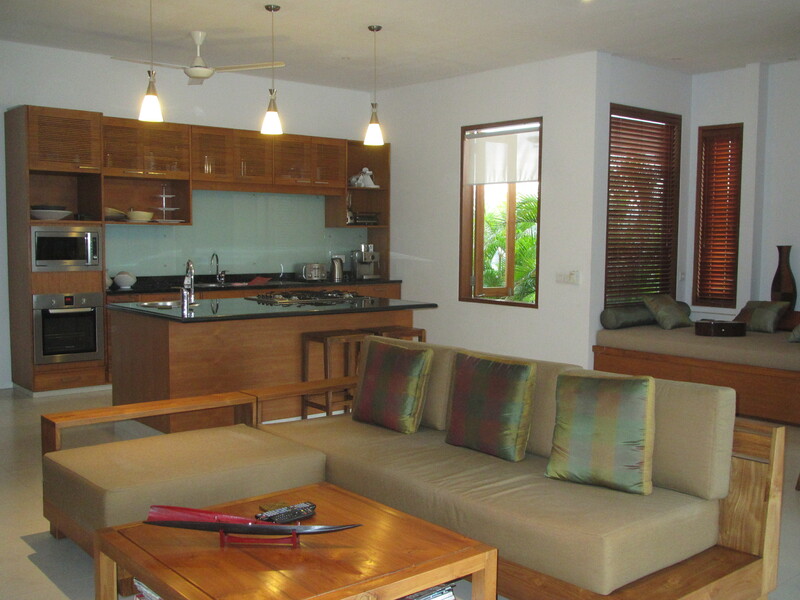 informal dining reflects the island’s carefree lifestyle. 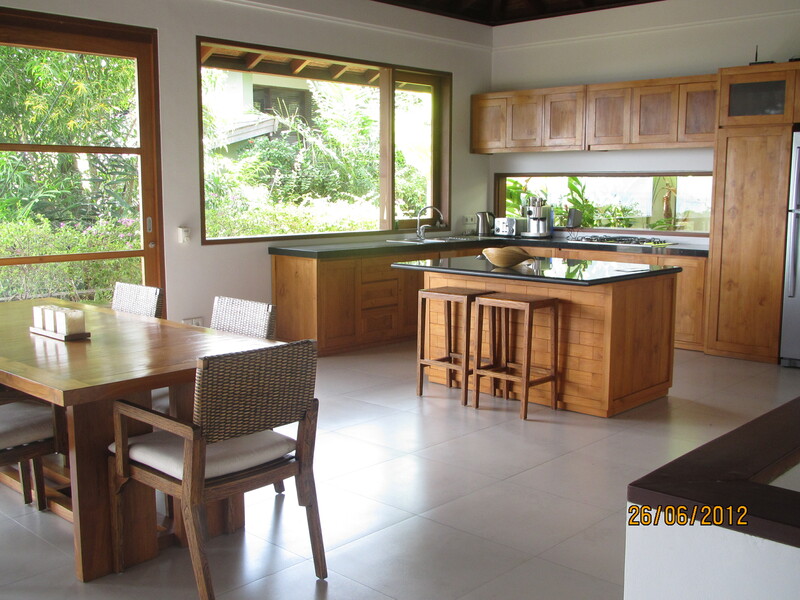 wouldn’t you just adore preparing meals in that lovely kitchen? all furniture designed by Ibu herself. easy, open-plan living area, with the open kitchen at the rear. 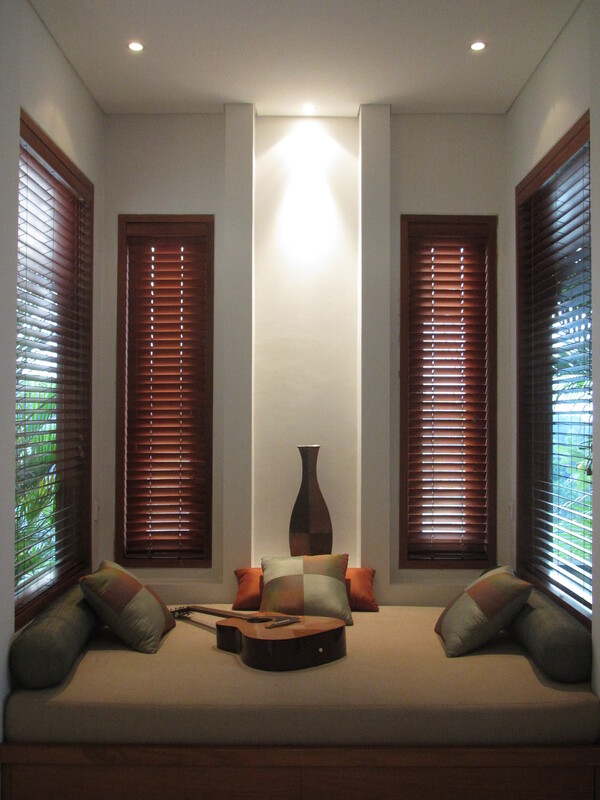 all furniture personally designed by Ibu in collaboration with a Balinese furniture craftsman. the kitchen pendant lamps were sourced from Jakarta. 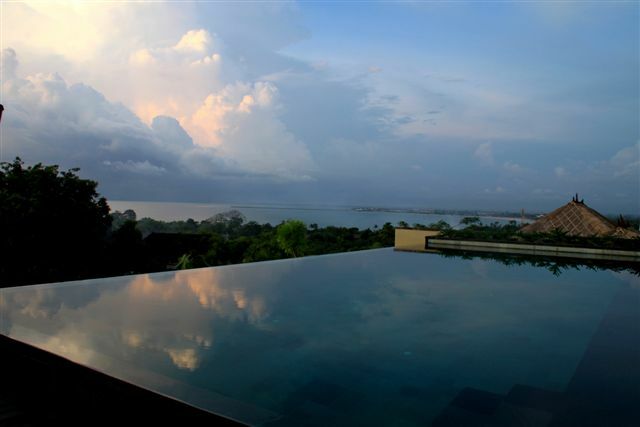 made of natural river stone, the stunning infinity pool overlooks an equally stunning view of Jimbaran. don’t you just want to jump in? so inviting! 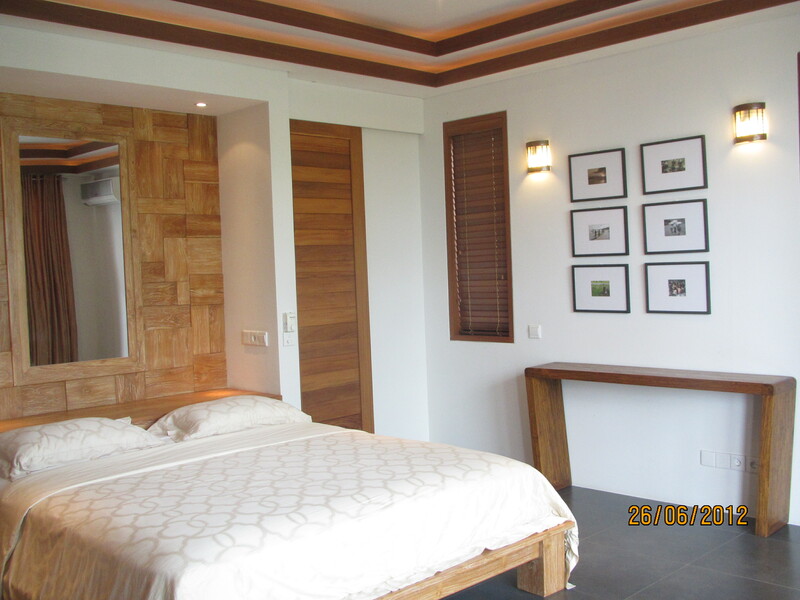 The villa was designed by German architect Walter Wagner of Habitat Architects. 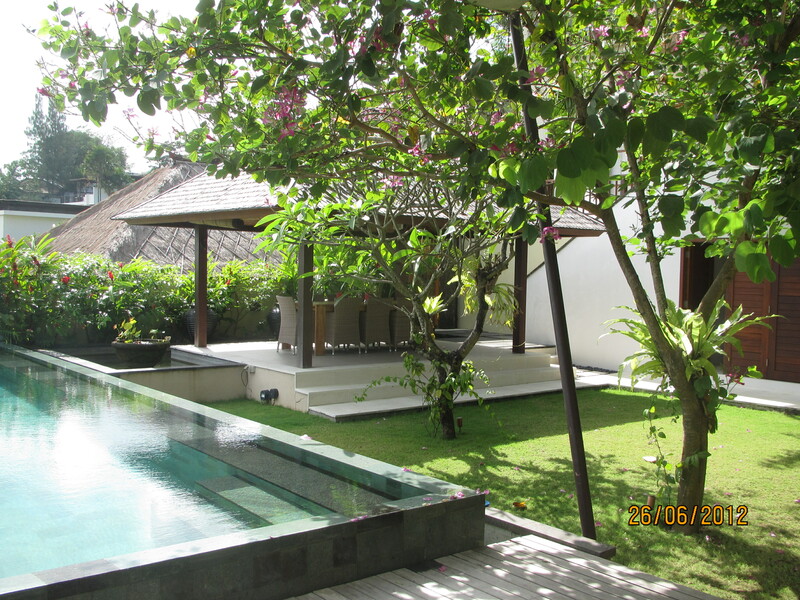 Many thanks to Ibu and Tuan for their awesome generosity in sharing the photos of their gorgeous abode and for allowing us to have such sweet Bali dreams tonight! Where would you like to have your dream beach house? Will you be dreaming about it tonight? I know I will! Welcome to the 1st edition of Monday Fundays! Welcome to the first edition of Monday Fundays, where The Bamboo Stiletto combines her obsession with chic beach-inspired interiors, the movies & TV and celebrity gossip all into a single fun post! If you’re based in Asia and have the Star World channel on your TV, then chances are you may already be hooked on this deliciously addictive TV series about a mysterious, beautiful young lady who suddenly buys a beach house at the Hamptons, renowned summer playground of Manhattan high society, and who may or may not have ulterior motives for living next door to the enclave’s reigning power couple, their goodlooking son and heir, and pampered daughter. The show had me at the Hamptons. As a former New Yorker who once dreamed of spending summers there (and who was actually lucky enough to be invited there by more privileged friends on occasional summer weekends), of course I watched the show from the get go! the gorgeous living room…to die for. the poolhouse / son’s bachelor pad…really cool. love this room! Can you guess what the title of this show is? Let me know in your comments below! Will you be tuning in tonight at 11pm on Star World?? ?